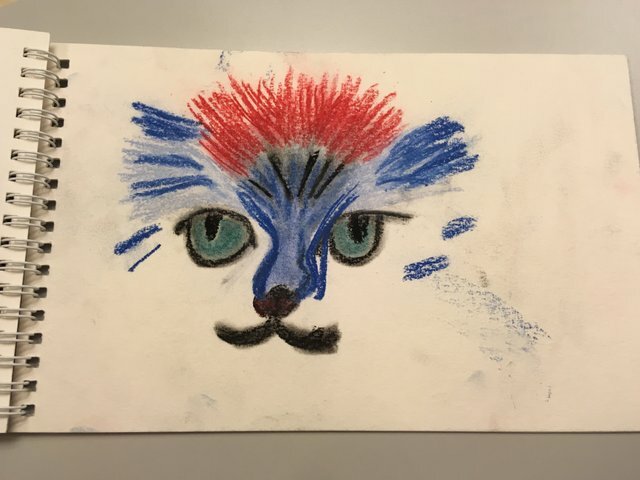 I was bored one night and decided to try my hand at some chalk art and attempted to draw a cats face. It's one of my first real attempts and I'll be trying to draw some other things here in the near future. I'd like some advice and feed back on this... I actually thought about just tossing this aside but I decided to share it here despite my better judgement. When the flower blossoms, the bee will come. The dog is the perfect portrait subject. Dusk is just an illusion because the sun is either above the horizon or below it.